For additional information about this book, visit the website transition2practice.com. What every doctor must know, but medical school doesn't teach! All of your years of training and education taught you how to become a good doctor. What it didn’t do is prepare you to find the right job for you. Medical school teaches you practical, in-the-field knowledge, but it doesn’t teach business skills. That’s where Transition 2 Practice can help. A quick and easy read for on-the-go professionals, this book will teach you the essential tools for your career search and contract negotiations so you can find your dream job that allows you, and your patients, to thrive. package you deserve so you’ll be prepared to make the right decision before you sign on the dotted line. 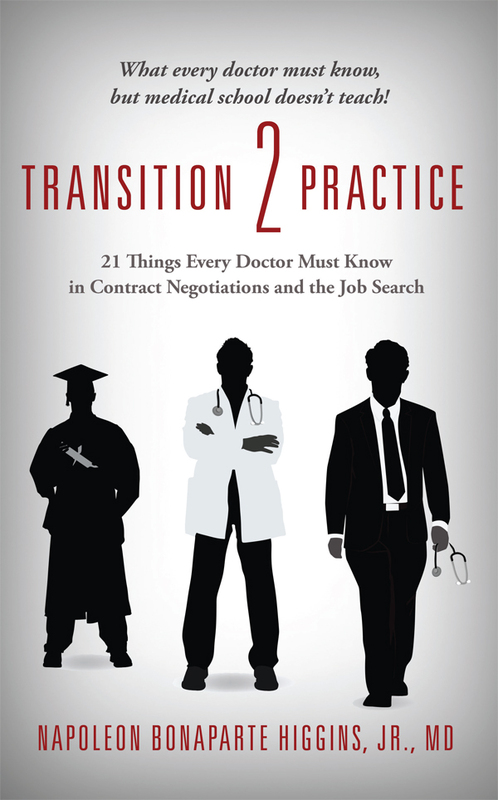 With real-world examples and tried and true advice, Transition 2 Practice is the must-have educational guide for jobseekers in the medical field. This book is written so that it may be a quick and easy read for physicians who are signing an employment contract and/or looking for a job opportunity. This book helps physicians, medical professionals and other professional working persons on helping to find the right job for them. It provides an overview of information needed before signing a work contract. As medical professionals we are very well and skillfully trained in delivering our needed services to patients. In our extensive training, little to nothing is said regarding contract negotiotions despite the fact that every doctor is working through some sort of agreement that is either written or verbal. We quickly find that our education has left us inadequate for the business of medicine despite many years of training. This book will help doctors consider what type of work is best for them and contribute to the skills needed to execute a contract that serves them and their employer well. Napoleon Higgins is a child, adolescent and adult psychiatrist whose focus is in treating mental health disorders. He is in private practice in the Houston area. He has started and developed many businesses. His private practice has grown from 1 physician being himself and his mother as his office manager. In the short period of 9 years, he has grown from his private practice to one of the largest group practices in the 4th largest city in the United States. His company, Bay Pointe Behavioral Health Service, Inc. now employs multiple clinicians including psychiatrists, physician extenders, therapists, and supporting staff. He believes that the lack of business acumen is greatly affecting the practice and delivery of health care around the country. It is his hope that the following book will help to alleviate the gap between clinical knowledge and business knowledge that is greatly lacking in the medical field.